Hollywood celebrity Sir Ben Kingsley has one specific desire : to play in a film one of the greatest Mughals. Shah Jahan was chosen as successor to the throne after the death of his father in 1627. Emperor Shah Jahan erected many monuments, the most famous being The Taj Mahal at Agra, as a tomb for his beloved wife. As a child, he received a broad education, which included martial training and exposure to a wide variety of cultural arts, such as poetry and music. Evidence from the reign of Shah Jahan, states that the Mughal Empire continued to expand moderately during his reign as his sons commanded large armies on different fronts. India became the richest center of the arts, crafts and architecture and some of the best of the achitects, artisans, craftsmen, painters and writers of the world resided in his empire. Shah Jahan also intended to construct his capitol at Agra as an urban center that would rival both Istambul and Isfahan in all its wealth ans cultural opulence. Born in England, Ben Kingsley (born Krishna Banji) shot to prominence in the film Gandhi, for which he won an Oscar. Since, he acted in a variety of projects like "Bugsy", "Dave", "Twelfth Night", "Shindler's List"... He has earned numerous other awards and was knighted in 2002 by the Queen Elizabeth II of Britain. He took the name Ben as a tribute to his father, who had been called Ben in college. He joined Royal Shakespeare Company in 1967 and soon began perfoming in lead roles. He made his Broadway debut in one-man show "Edmund Kean" in 1984, before making in the U.S. In the film "Without a clue" in 1988, playing Doctor Watson with Michael Caine as Sherlock Holmes. 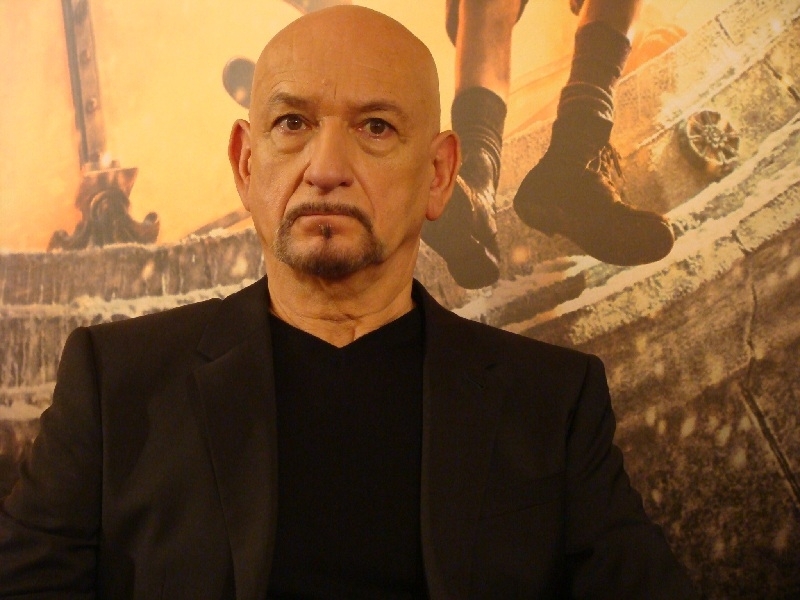 Ben Kingsley pronounced by a film or mini-series, to want to tell what is for him the extraordinary story of a Mughal Emperor and the building of the Taj Mahal. He told PTI "It is one of my hopes, to play him (Shah Jahan), an incredible man, engineer, philosopher, poet, architect, warrior. It is amazing. I'd love to (play him on screen). I am fascinated by him."